What Scarface character are you? Scarface. That word carries with it a sound of . If you have seen the movie, you know what I am talking about. Who can forget the characters? I have looked for a quiz like this on the web for a long time. So I made my own. Are you a great friend like Manny Ribera? Are you a killer like Hector the Toad? Are you a charming buisiness man like Frank Lopez? Are you a Powerful rich man like Aljeandro Sosa? Or are you the infamous Scarface himself, TONY MONTANA? 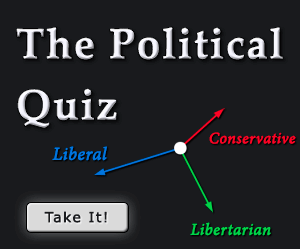 Take the quiz and find out. What is you weapon of choice? Someone betrayed you, what would you do? Turn him into hamburger with a chainsaw! You give me the cash or I kill your friend first, then I kill you. Say goodnight to the bad guy! I am the one who got you started, you would be nothing without me! No, this is how you pick up s in this country. How do I know I can trust you. There is a that you like. But she is your boss. What would you do? Date her behind his back. Kill him and take his business and his . Kill him and the . Use your power to get the . Forget about the whole situation. You were bailed out of jail by someone. He wants you to kill someone in return. You are about to kill him but his wife and kids are with him. What would you do? Kill him infront of his family. Dont kill any of them. Kill his family infront of him, then kill him. Shoot wildly at them and see what happens.